Czech archaeologists have unearthed the 4,500-year-old tomb of a Pharaonic princess south of Cairo, in a finding that suggests other undiscovered tombs may be in the area, an official from Egypt's antiquities ministry said Saturday. Mohammed El-Bialy, who heads the Egyptian and Greco-Roman Antiquities department at the Antiquities Ministry, said that Princess Shert Nebti's burial site is surrounded by the tombs of four high officials from the Fifth Dynasty dating to around 2,500 BC in the Abu Sir complex near the famed step pyramid of Saqqara. 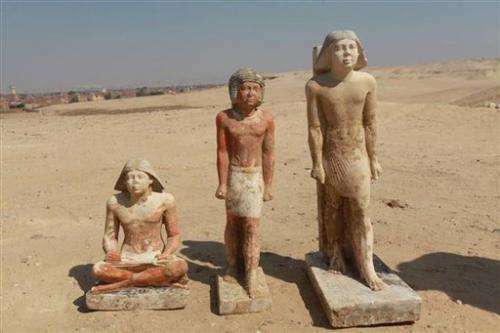 "Discoveries are ongoing" at Abu Sir, El-Bialy said, adding that the excavation was in a "very early stage" and that the site was closed to the public. 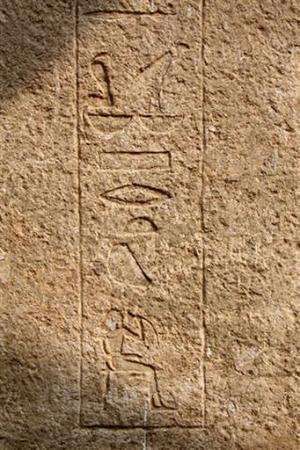 Inscriptions on the four limestone pillars of the Princess' tomb indicate that she is the daughter of King Men Salbo. "She is the daughter of the king, but only her tomb is there, surrounded by the four officials, so the question is, are we going to discover other tombs around hers in the near future? We don't know anything about her father, the king, or her mother, but hope that future discoveries will answer these questions," El-Bialy said. On Friday, Antiquities Minister Mohammed Ibrahim said that the antechamber to the princess' tomb includes four limestone columns and hieroglyphic inscriptions. 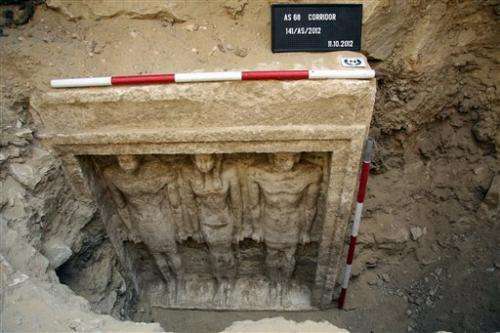 The current excavation has also unearthed an antechamber containing the sarcophagi of the four officials and statues of men, women, and a child, he said in a statement. 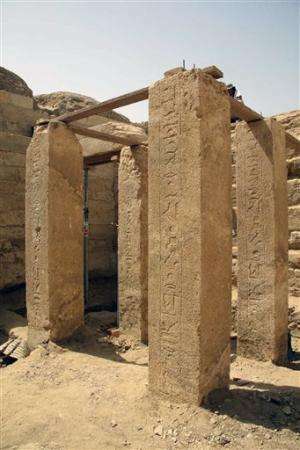 The Czech team's discovery marks the "start of a new chapter" in the history of the burial sites of Abu Sir and Saqqara, Ibrahim added. The archaeologists working at the site are from the Czech Institute of Egyptology, which is funded by the Charles University of Prague. Their excavation began this month. The discovery comes weeks after the Egyptian government reopened a pyramid and a complex of tombs that had been closed for restoration work for a decade. Egypt's vital tourism industry has suffered from the country's internal unrest in the wake of the 2011 uprising that toppled autocratic leader Hosni Mubarak. A delegation from the International Monetary Fund is currently in Egypt for negotiations over a $4.8 billion loan aimed at bolstering the country's ailing economy. In Dodson-Hilton's 2004 authoritative "Complete Royal Families of Egypt", there is no mention of Shert Nebti or Men Salbo. There are 9 pharaoh's given, and about 39 family members. The chronology given there is 2392 - 2282 bce, so the Polish team is using a longer chronology. But these names yield nothing on a google search. The information released is a bit odd, you're right. 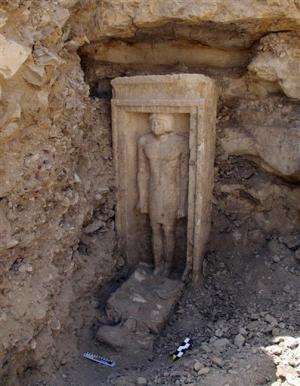 No matter what chronology you follow, however, it's still a 5th dynasty tomb, as evident from archaeology. And yes, Sheretnebty is a previously unknown princess. On the pillars, it reads "king's daughter of his body" and "his beloved". Who was that king then? The excavators believe Niuserre. Lastly, the team working in Abusir is Czech. 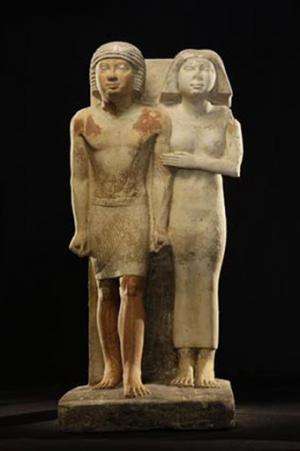 Hence, the "Czech Institute of Egyptology, which is funded by the Charles University of Prague".